Fiat Professional has once again pitted football against rugby in the Fiat Professional 4×4 Challenge, to determine which sport has the best driving skills. London, 08th June 2017: Fiat Professional has given Lee Byrne and Geordan Murphy the chance to redeem rugby’s pride in part two of the Fiat Fullback Challenge – The Fiat Professional 4×4 Challenge. 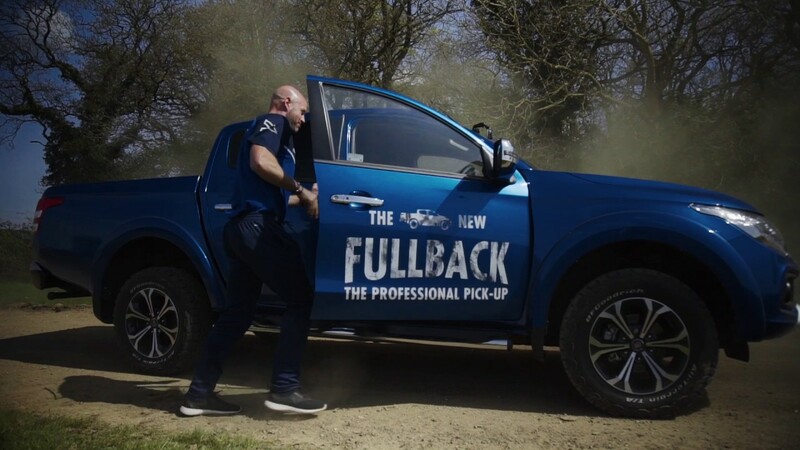 Once again famous fullback’s Danny Mills (England) and Jackie McNamara (Scotland) made up Team Football, while ex-Lions fullbacks Geordan Murphy (Ireland) and Lee Byrne (Wales) represented Team Rugby and put the new Fiat Fullback to the test. The task for each of the players was to complete a lap of the specially-designed 4×4 course, with their other team member reaching out of the window to touch two flags laid out around the track. Each team would then swap drivers, and touch the remaining two flags; the team who completed the course with the best driving technique, ability, skill and control would be crowned the winner, as judged by a professional driving instructor. Whilst Team Football certainly appeared to make their way around the course fastest, the superior driving technique and lack of fouls for missing flags by Team Rugby meant they walked away victorious as the Fiat Professional 4×4 Challenge champions. It was great to get one over on our rugby counterparts. It was a competitive day – I think we took Lee and Geordan a little by surprise in the first round of the Fullback pull challenge – the look on their faces said it all. Ultimately the right sport won. Who would have thought Scotland and England could come together to emerge victorious?